Watch Dr. Firestone on PBS! 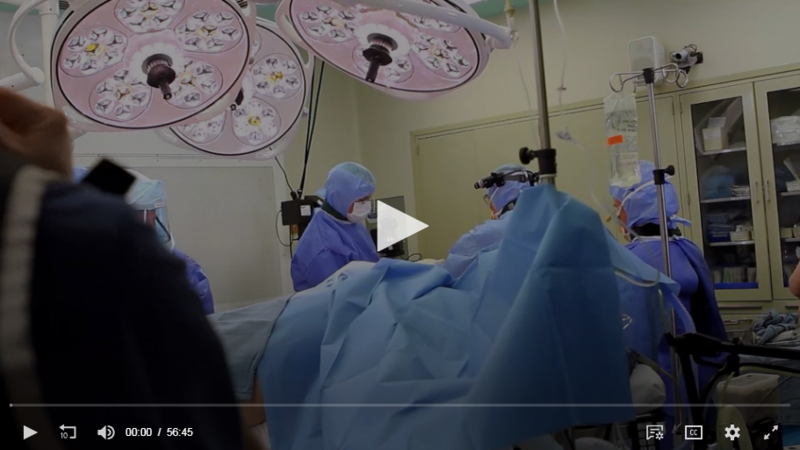 Click here to play this video to learn all about the anterior hip replacement surgery and how patients can be up and walking as early as one week after. 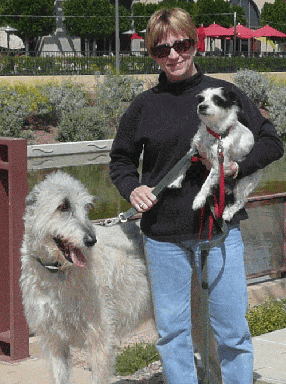 Welcome to the website for The Joint Replacement Center of Scottsdale. 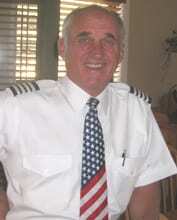 We hope to provide you with some information about me, the office, and the kind of work we are doing. Since establishing the Center in September of 2006, my goal has been to provide patients with first-rate state-of-the-art hip replacement and knee replacement surgical care in a setting that’s second to none. My office staff constantly gets rave reviews from patients for their availability, efficiency and friendliness. In an impersonal medical world of automated phones, paperwork and loss of identity we’re the exception. 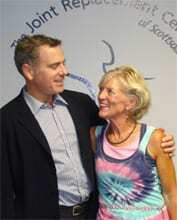 Please see some of our amazing hip replacement and knee replacement success stories here. Dr. Theodore P. Firestone is a board-certified orthopedic surgeon specializing in anterior hip replacement and minimally-invasive knee replacement. 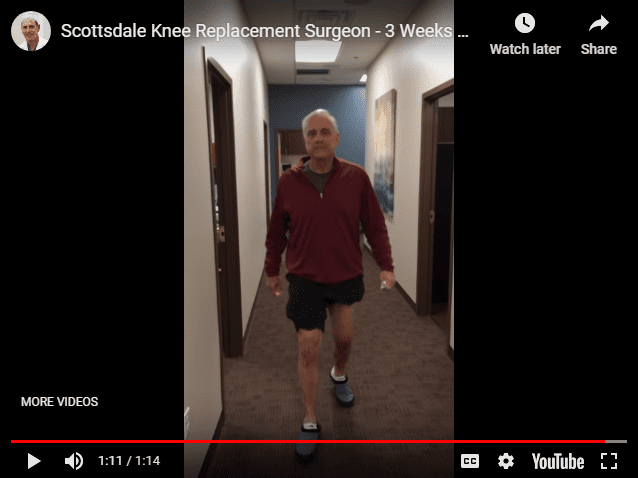 He is also the Director of hip replacement surgery at the Scottsdale Orthopedic Institute, located on the Thompson Peak Campus of Scottsdale Healthcare. 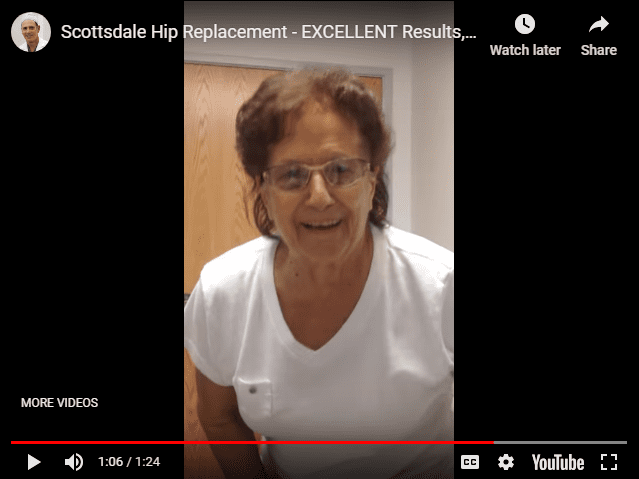 If you would like to learn more about The Joint Replacement Center of Scottsdale, or to schedule a consultation, call our office at (480) 237-5727. You can also email us HERE. 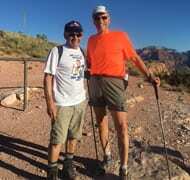 "Every physician I spoke to as well as companies that actually supplied joints to surgeons recommended him as the best doctor..."
"Dr Joseph Maroon and Dr Robert Spetzler completing the Grand Canyon rim to rim 5/19/17. Two world famous pioneers in Neurosurgery. Two success stories who never let knee replacements slow them down!" 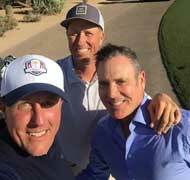 Phil Mickelson happy to have his main man Jim "Bones" Mackay back on his bag with two new knees! 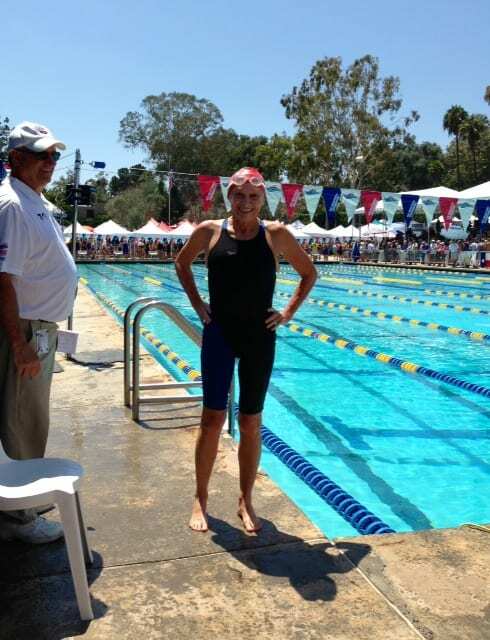 "Three months and three weeks after you did my badly needed hip revision, I swam in the US Masters National Swimming Championship Meet in Mission Viejo, CA." "For those hesitant about undergoing this procedure, don't give it another thought. Dr. Firestone's entire staff is very helpful and friendly, and the hospital staff was so nice I almost wanted to stay for an additional day." "I am so grateful for Dr. Firestone's surgical competence which was necessary for the good outcome, and I am pleased to tell everyone about this wonderful doctor." "Four years later, my quality of life has been dramatically restored, thanks to Dr. Firestone's skill as a joint replacement surgeon. Thank you, Dr. Firestone and your team!" "Everything I heard and read about Dr. Firestone proved to be true. He gave back to me mobility without pain and also the optimism to once again enjoy sports." "I am now 8 months post surgery, and every single day I think about how grateful I am to have my life back. I still can’t quite believe it. Thank you, Dr. Firestone." 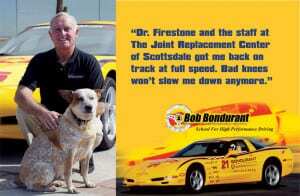 "Dr. Firestone and the staff... got me back on track at full speed. My bad knees won't slow me down anymore."